In an information free-for-all why should scientists bother to add their voice? Emma Johnston argues that there is an increasingly important role for scientists amongst the growing ranks of public intellectuals. She explains that scientists must be sifters and sorters to identify what is valuable, sift out deliberately distracting stories and counter fake news. For scientists, this information-saturated era demands a more public role. Why? First, because scientists have plenty of important things to say. Second, because there is a dwindling supply of authoritative voices in the current mix. The profound disruption to the business models of traditional media organisations and publish means we have far fewer professional journalists, analysts and writers to rely on to make well informed, reasoned sense of the world. Meantime, we’ve got an oversupply of unsubstantiated opinions and prejudices, seeking to pass themselves off as the truth. Scientists can, and should, help fill that void. As a starting point, they can make a valuable contribution by translating complex concepts to help make sense of all those views and news. Of course, analysis and commentary is not the exclusive domain of scientists. But, what scientists do have that is particular to their profession is training in the methods that enable them to rigorously interrogate and verify, or otherwise, the torrents of facts and opinions that rush into the digital public domain every day. Scientists need to be willing to use this training in the public sphere. What might it mean for scientists to cast themselves as public intellectuals in the current environment? Johnston suggests that this is a dual role. First, scientists must become the sifters and sorters by using research and analytical skills to identify what is valuable amongst all the noise, and, if necessary, to volubly reject what is not. Secondly, scientists need to create and defend the space everyone needs for deep thought and consideration. Scientists need to be able to stand back to reflect, synthesise and juxtapose. They need to influence ongoing debates by seeking to push them towards rational and evidence-based arguments, sifting out distracting stories. Johnston states that we need to encourage more scientists to speak in the public realm and support and train them to do so. Johnston claims that as professional communication jobs are cut across Australia and the globe, possibly the single most effective thing that universities and other research organisations could do is to train more scientists to pick up the baton of public intellectualism. The world is changing and we need as many science voices out there in the noise as possible. This article was adapted from Why Speak? by Emma Johnston in the Journal of Science Communication. The full article is available here. 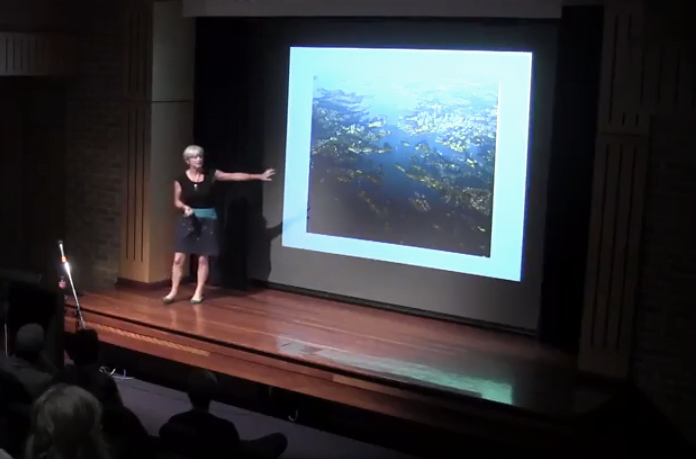 Emma Johnston is Pro Vice-Chancellor Research at UNSW Sydney and a Professor of Marine Ecology and Ecotoxicology. She advises industry and government on environmental science and is President-Elect of Science and Technology Australia (STA).